John McAll is a pianist, composer, arranger and producer with experience ranging from jazz, pop, rock, contemporary classical, afrobeat and theatre. An in-demand Musical Director John has recently been instrumental in Let’s Get It On – The Life And Music Of Marvin Gaye, The Songs Of James Bond and Here Comes The Night – The Van Morrison Songbook. It was with this show that he had the honour of arranging the music for and conducting the Melbourne and Sydney Symphony Orchestras. John’s own compositions can be heard on ‘Black Money’ (2009) and ‘Alter Ego’ (2012). As a founding member of the acclaimed David Chesworth Ensemble, John has performed internationally in New York, Slovenia, London and Paris. Currently a member of The Black Sorrows he has been the co-producer of the last two albums ‘Certified Blue’ and the ARIA nominated ‘Endless Sleep’. This collaboration resulted in recent successful tours of the UK and Europe. 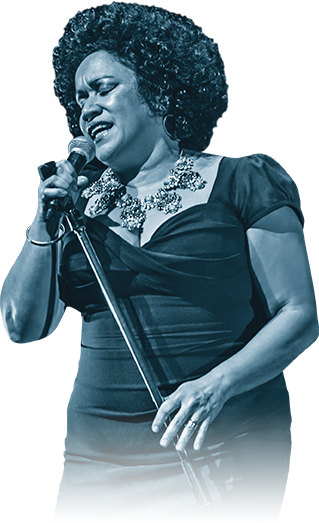 With the utmost respect for Vika Bull, John considers At Last – The Etta James Story to be the most magical and successful of all his theatre accomplishments!